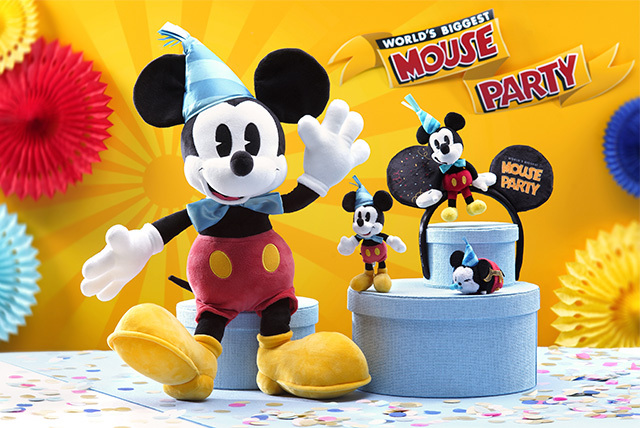 Mickey Mouse is celebrating his 90th birthday this year! 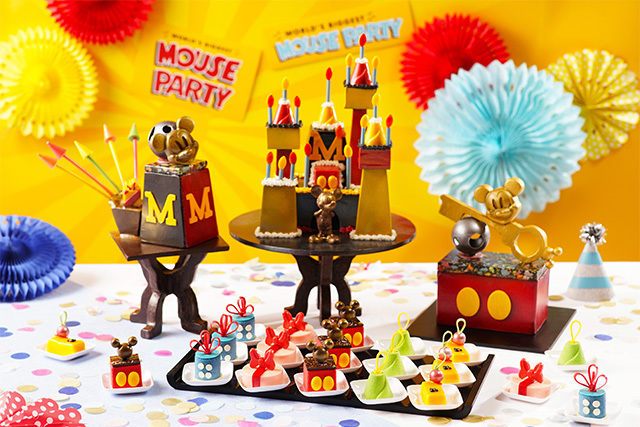 Join Mickey's surprise party at Main Street, U.S.A.
Be sure to catch the "We Love Mickey!" Projection Show Birthday Edition—a surprise lights-and-sounds spectacle that Minnie organized for Mickey. 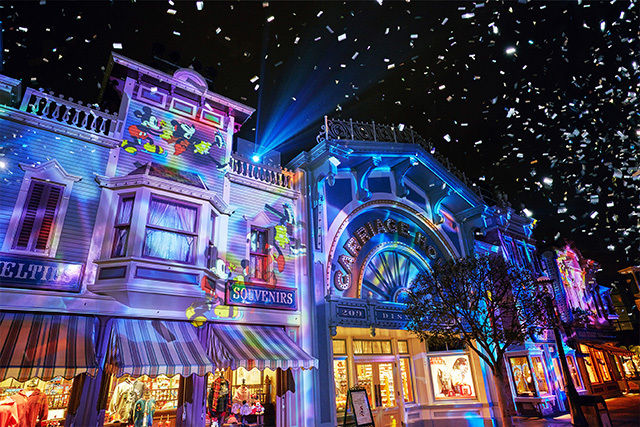 Expect larger-than-life nighttime projections on the buildings of Main Street, U.S.A., paying tribute to Mickey's major milestones and most memorable moments. The best part: Everyone's expecting the star of the night to make an appearance, and he's debuting his new birthday costume on November 18! Starting November 7, the admission park tickets will feature four new designs featuring Mickey, Minnie, Donald Duck, and Pluto. And from November 18 onwards, you can even take home special birthday stickers (while stocks last). Enjoy a good meal at the Chef Mickey restaurant in Disney’s Hollywood Hotel from November 7 to 18 with the Mickey Mouse Happy Birthday Dinner Buffet. The menu includes a wide selection of goodies and desserts, with plenty of new treats in time for his birthday. And while you're at it, make good use of all the Mickey-themed props in the restaurant and take snapshots of your best moments! No time for a long meal? Grab a quick bite at the outdoor vending carts and designated dining venues and top up your drinks with an exclusive Mickey Sip Sip commemorative cup. 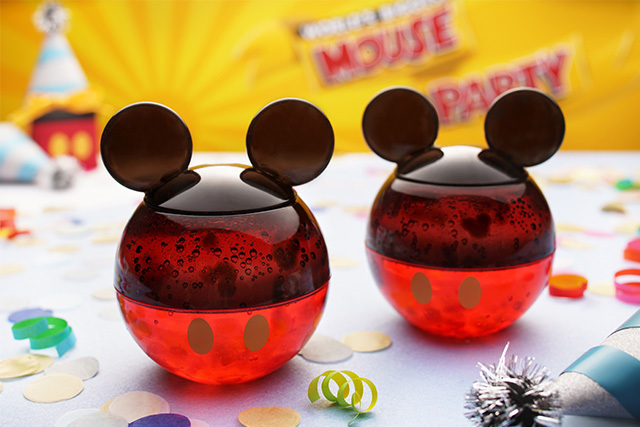 Complete your keepsake collection with the Mickey Balloon Popcorn Bucket, available in red and yellow, and snack away while watching the shows in the park. Bring home a souvenir to commemorate Mickey's milestone! 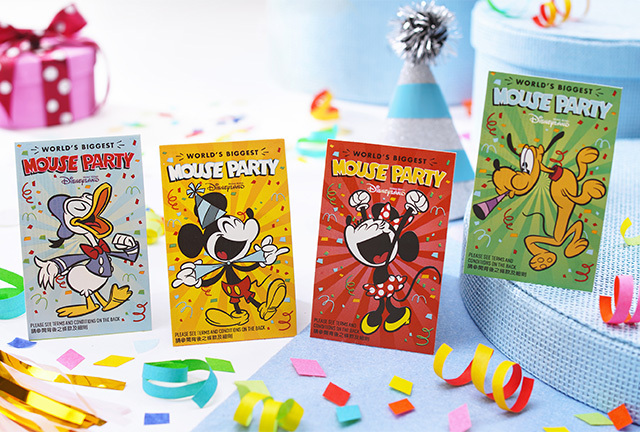 Check out all the special merchandise designed for Mickey’s 90th anniversary, which includes headbands and keychains that sport birthday-inspired Mickey designs, exclusively designed and available at Hong Kong Disneyland. There’s also an 18-inch Mickey plush toy with a commemorative World’s Biggest Mouse Party tag and Hong Kong Disneyland logo. 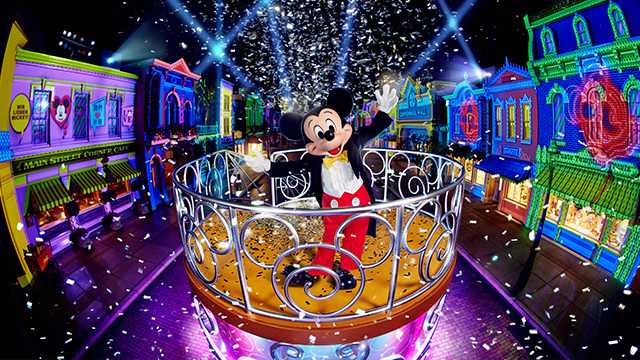 Book a celebration-themed room by adding just HK$1,090 per night (approximately P7,500) to your room cost in any of the three hotels—Hong Kong Disneyland Hotel, Disney’s Hollywood Hotel, and the Disney Explorers Lodge—to celebrate Mickey’s birthday and your own special occasion. 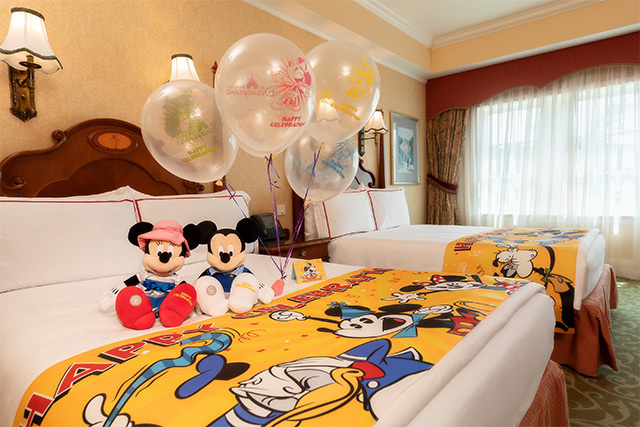 In each decorated room, expect to find themed bed runners, a door sticker, a greeting card, an amenities box, exclusive Mickey and Minnie plush toys, and balloons. To join the World’s Biggest Mouse party at Hong Kong Disneyland, visit www.hongkongdisneyland.com/disney-christmas-intl/. This article was created by Summit Storylabs in partnership with Hong Kong Disneyland.